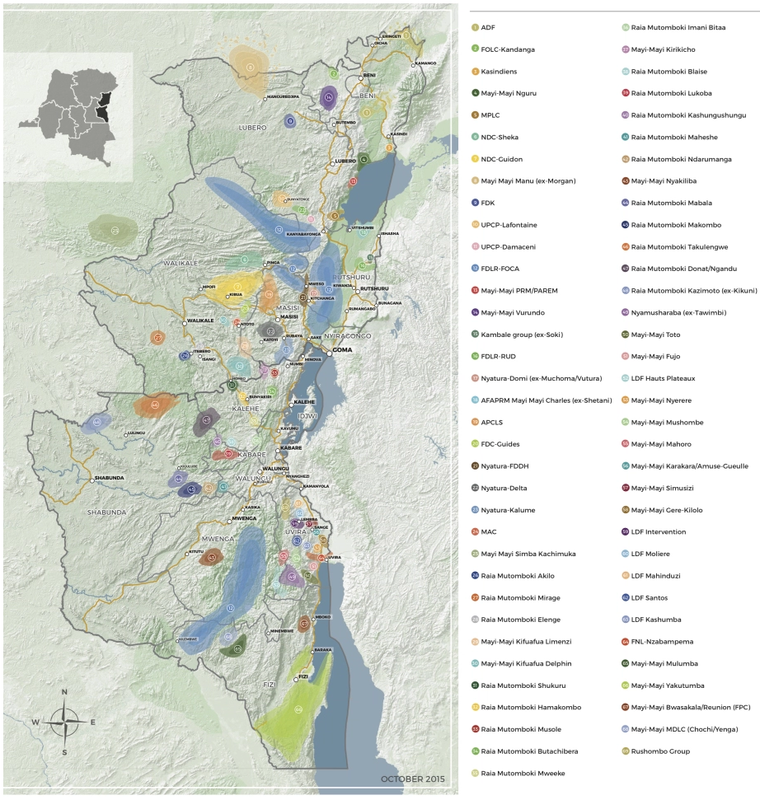 A complex emergency has persisted in DRC for more than 20 years. Over 99% of displacement, which is frequent and repeated, is due to armed clashes and intercommunal violence between foreign, self-defence, and other armed groups. 4.49 million IDPs are registered and 800,000 refugees are hosted in neighbouring countries. 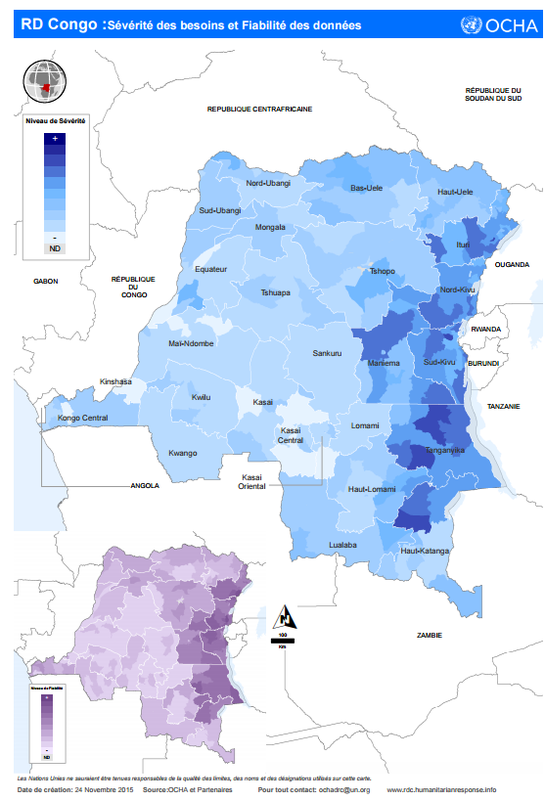 DRC also hosts approximately 533,000 refugees. ? An Ebola virus outbreak began in Ituri and Nord-Kivu provinces on 1 August 2018, with 529 cases and 311 deaths (CFR 58.8%) as of 15 December. Conflict in Nord-Kivu make the response to extremely challenging, and activities are regularly suspended. ? By mid-December 2018, almost 670,000 Congolese nationals returned from Angola to Kasai and areas close to the border after the Angolan government forced all those without documentation to leave. Most returnees are staying with host communities while some are sleeping out in the open or in churches. They are in need of healthcare, food, drinkable water, WASH, and also face protection concerns as the security situation in Kasai is volatile.? The Commission électorale nationale indépendante announced the provisional results, with Félix Tshisekedi declared the new president, after elections took place on 30 December in a tense climate with reports of widespread irregularities, voter suppression, and violence. ? 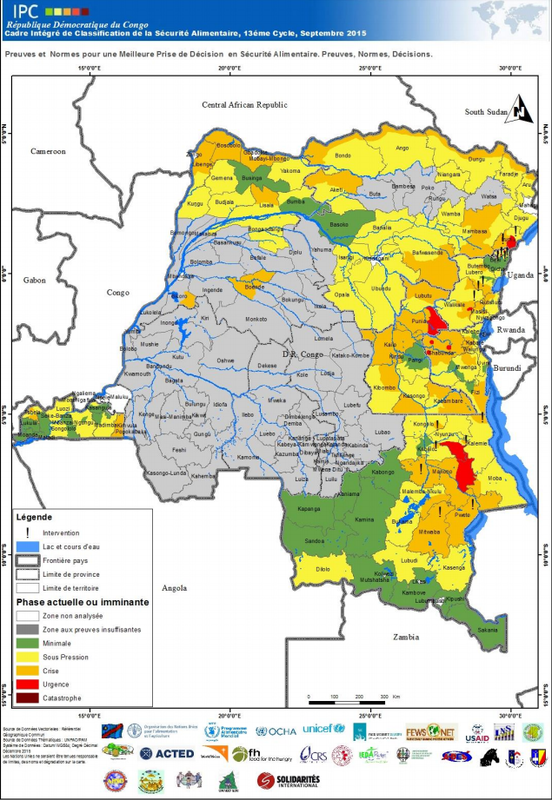 INFORM measures DRC's risk of humanitarian crisis and disaster to be very high, at 7.6/10. Lack of coping capacity is of particular concern, at 8/10 as well as vulnerability at 7.6/10. ? 16/04: As of 14 April, the number of reported Ebola cases has reached 1251, including 803 deaths (CFR of 64%) in Nord Kivu and Ituri provinces. Since late March the transmission rate seems to be increasing in the outbreak epicentres, particulalry Butembo, Katwa, Vuhovi and Mandima. However, numbers fluctuate due to reclassification of cases and ongoing monitoring activities.? 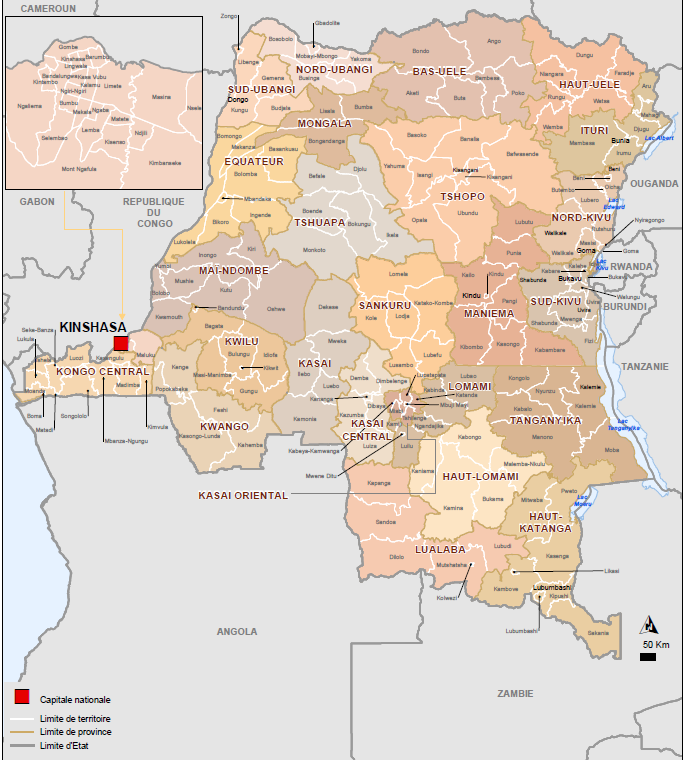 09/04: More than 3,000 Congolese refugees and migrants returned, likely involuntarily, from Angola to Kahemba territory in Kwango province in the south-east of the DRC. Migrants often work in the informal mining sector in Angola, against which the Angolan government has been taking action since October 2018, when some 200,000 refugees were pushed back into Kasai and Kasai Central provinces. As of 28 February 2019, there are close to 38,000 refugees and asylum-seekers from DRC in Angola. Needs of returnees likely include shelter, food, water and other basic services.? Protection: Sexual gender-based violence (SGBV) by armed groups and government forces is often reported in conflict-affected areas: in 2017 over 13,000 cases of SGBV were reported across the country. ? 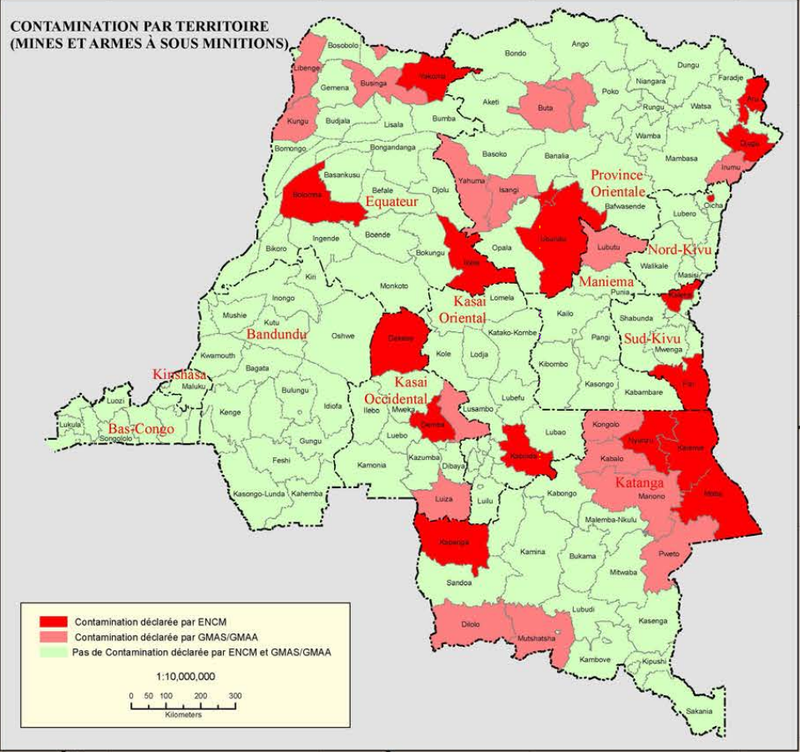 WASH 13.1 million people are in need of WASH support:?50% of households in DRC do not have access to drinking water, and poor sanitation and hygiene services are among disease predisposing factors. Damage to WASH infrastructure in conflict as well as long-term displacement and a high concentration of IDPs has placed pressure on water resources. ?